Travel insurance is your safety net if anything goes awry overseas. Find the right policy with our buying guide and compare a range of comprehensive policies. We surveyed 38 comprehensive travel insurance policies and found premiums can vary by more than $700 depending on your age and destination. That’s an extra night of five-star accommodation in Manhattan. Compare the premiums with our calculator and learn what to look for in a policy, plus the common traps to avoid. We've gathered information on 38 travel insurance policies. We collected premiums for two travellers (a 45-year-old and a 70-year-old) using each insurer's online calculator. The premiums listed are for comprehensive policies. Both travellers are heading overseas for a month. Neither traveller has a pre-existing medical condition. Neither traveller wants additional cover for adventure activities, cancellations nor rental vehicle excess beyond what's already built into the policy. Both travellers have opted for an excess of $100 where offered. Some insurers offered a discount if we booked our cover online. We accepted this discount. Tip: You can sometimes get reduced premiums if you already have other business with an insurer. While we haven’t included these discounts, it’s worth asking your insurer if a reduction is available for existing customers. Destination: Insurers like to know where you’re going as the chances of you making a claim – and the cost of claims – are greater in some countries. Many group destinations in regions, such as Australia, Pacific Islands, Europe and “Worldwide”. You may need worldwide cover if you’re tiki-touring through multiple regions or visiting countries such as the US where the cost of settling claims can be high. Length of trip: The longer you’re away, the more you’ll pay. Most of your policy’s benefits, such as cover for your belongings, are triggered on the day you depart and end on the day you return (or the date specified in your policy schedule – whichever is sooner). But cover for your bookings begins when you’re issued with your policy. So if you take out insurance two months before you depart, your cancellation fees and lost deposits will be covered if you’re forced to abandon your trip within that period. Age: Older travellers are charged higher premiums as the likelihood of making a claim increases with age. Some insurers require older travellers to complete a medical assessment; others won’t cover travellers over a certain age. “Dependent children”, the exact definition varies, may be covered for free when they travel with a parent or grandparent. Policy type: Most insurers offer comprehensive and budget travel insurance. Comprehensive policies are more expensive, but they have higher cover limits and provide cover in circumstances where budget policies don’t. You may also be asked to choose between single- or multi-trip policies. The latter cover multiple trips within a year. They cost more initially, but may ultimately prove cheaper than a series of single-trip policies. Excess: If you make a claim, you may have to contribute some money towards covering your loss. This is called the excess. A standard excess is $100. Some insurers let you increase your excess in exchange for a lower premium or vice versa. Valuable items: Policies cap cover for individual items. For instance, you may only get $2000 if your laptop goes walkabout, even if it cost you $3000. You can usually specify higher cover limits for valuables, but it’ll increase your premium. Activities: Insurers won’t necessarily cover your participation in adventure activities, such as rock climbing, or sports competitions. Some charge extra to cover ski trips. Check your policy to see which pursuits are automatically covered and which aren’t. Pre-existing conditions: A pre-existing condition is a health issue you suffered before taking out insurance. Generally, insurers won’t cover a pre-existing condition (or any problems linked to a pre-existing condition) unless you clear it with them first and pay a higher premium. However, some policies automatically cover conditions such as diabetes, epilepsy or osteoporosis provided they’re well controlled – for instance, they haven’t required hospital treatment in the past year. Note: It’s important to tell your insurer about any medical conditions you have when arranging insurance – and any ailments that develop before you depart. This information is important to insurers, even if you’re willing to forego cover for the ailment. Check out the latest travel advice for your destination at the Ministry of Foreign Affairs and Trade’s website safetravel.govt.nz. Register your travel details. That way, the ministry will be able to account for your safety and relay important information to you if you’re caught up in an overseas emergency, such as a natural disaster. Keep your eyes peeled for A traveller’s guide to travel insurance, a new guide produced by the ministry and Consumer NZ. Find out about limitations and common exclusions for health, belongings, bookings and liability cover. Risky areas: The Ministry of Foreign Affairs publishes its risk warnings on safetravel.govt.nz. War, insurrection, crime and health issues are among the factors taken into account, and there are three classifications: Extreme Risk, High Risk and Some Risk. Individual insurance policies will have different rules about travel to risky areas. Make sure you read the fine print before travelling to any country that carries a risk warning. Declare relatives’ illnesses: Although you’re covered for curtailment or cancellation of travel due to the death or illness of a close relative, you need to declare a relative’s illness when you take out a policy. Contact your insurer immediately: Even if you are seriously ill or injured, it’s essential to contact your insurer immediately if you need to make a claim while you are abroad. Repatriation: If you’re travelling to a country in which advanced health care might not be available in a local hospital, make sure your policy covers repatriation. To get repatriated privately in an air ambulance can cost up to $100,000 – money you’ll have to pay yourself, because the New Zealand Government won’t. Adventure activities: Most policies cover skiing and snowboarding – as long as you don’t do it professionally, it isn't extreme and it’s within a designated commercial ski-field area. Some policies charge more to include snow sports as an optional extra: this can double your premiums. Some policies cover bungee jumping and white-water rafting. Others don’t – or at best provide limited cover. Loss of deposit: Most travel insurers won’t cover you for loss of deposits if your travel agent, airline, car rental or accommodation provider goes bust. However, you may have some protection from the Travel Agents Association New Zealand protection bond. Multi-trip traps: Annual multi-trip policies cover you for a year, but each trip within that time is usually limited to trips of 30 to 90 days. So you can’t use annual travel insurance for a long trip or a working holiday. 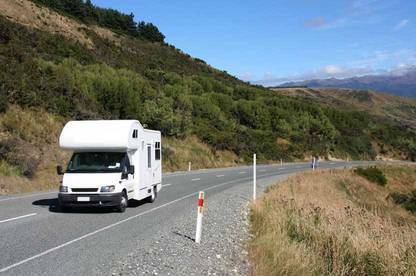 Long-term travel: If you’re travelling overseas in your own campervan or car you’ll need two policies: one covering yourself and your personal possessions, and another covering the vehicle. Check what the policy says about whether your possessions are covered when you’re not in the vehicle. Most people don't bother with insurance cover for local holidays. ACC and the health system still cover you when you're on holiday in New Zealand – and most contents-insurance policies will cover your belongings. But you may want to get domestic travel insurance cover for cancellation fees and lost deposits, travel delays, missed connections, and rental-vehicle excesses. There can be hassles with domestic travel insurance. For example, insurers may not pay for baggage claims that could be covered by your contents policy. Travel insurance is essential for any overseas trip. Buy travel insurance as soon as you buy your tickets. Buying early means you’re covered for the cancellation costs of non-refundable travel packages. Be upfront with your insurer. Advise it of all pre-existing medical conditions and of the activities you have planned on holiday — especially if they’re hazardous. Failure to declare pre-existing conditions is a false economy and it’s not worth the risk. Ensure your insurance is tailored to your trip — this is more important than a cheap premium. 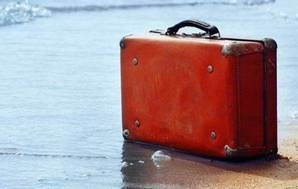 If you’re not travelling by public transport, make sure your belongings are insured whenever you're away from your car, campervan or boat. Calculate what your baggage is worth – make sure you've got sufficient cover. Keep receipts, guarantees and other paperwork to make a claim easier. Photograph your luggage (especially the valuables) before you go on holiday. If you're unsure about anything in the policy, contact your insurance company – and keep a note of the rep's name, when you spoke to them, and what they said. Carry your travel insurance policy in your hand luggage - and also any international assistance card or contact number for your insurer. Be aware that if your luggage is lost by an airline, you must lodge a claim with that airline immediately. Keep expensive items in your hand luggage (as long as airport rules allow you to). Use your hotel's safe for storing valuable items. Don't leave them unsecured in your room unless there's a safe. Where possible, be discreet about using expensive items in public. When you make a large purchase overseas, contact your insurer and make sure your new item is covered. If your baggage claim is declined because it was "unattended in a public place", argue the case. This is a grey area. When you're completing the claim form, always answer the company's questions truthfully. Getting caught in a small "white lie" could see your claim refused. Travel insurers that are members of the Insurance Council of New Zealand are bound by the Fair Insurance Code. Claims disputes can be heard by the insurance company's independent disputes resolution service (see our policy database for details). 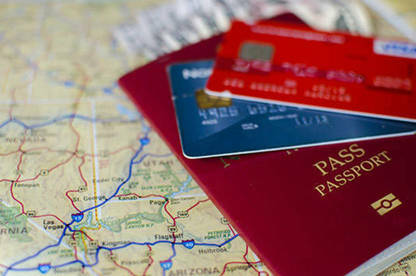 You must activate credit card travel insurance before departing. Each provider has different activation requirements. You may need to use your card to pay for your flights or a percentage of your prepaid travel expenses. You won’t be covered if you don’t meet these requirements. Your card’s insurance only covers your trip up to a maximum length — for example, 40 days. If your trip exceeds this, you won’t be covered. Credit card insurance policies tend to exclude pre-existing medical conditions by default – unlike some comprehensive policies, which cover certain conditions. You may have to pay a higher excess when making a claim. Where most other policies have an excess of $100, credit card policies often have a fixed excess of $200 or more.